the nations perish from his land. so that man who is of the earth may strike terror no more. Almighty God, You know we live in the midst of so many dangers that in our frailty we cannot stand upright. Grant strength and protection to support us in all dangers and carry us through all temptations; through Jesus Christ, Your Son, our Lord, who lives and reigns with You and the Holy Spirit, one God, now and forever. I will show you a still more excellent way. 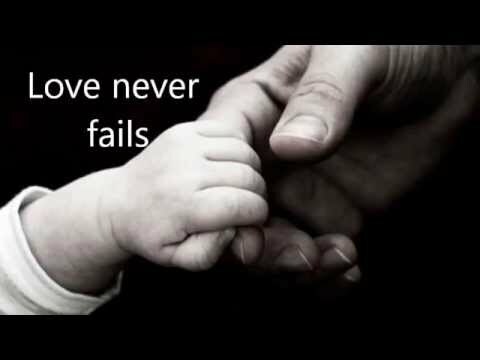 4Love is patient and kind; love does not envy or boast; it is not arrogant 5or rude. It does not insist on its own way; it is not irritable or resentful; 6it does not rejoice at wrongdoing, but rejoices with the truth. 7Love bears all things, believes all things, hopes all things, endures all things. 31[Jesus] went down to Capernaum, a city of Galilee. And he was teaching them on the Sabbath, 32and they were astonished at his teaching, for his word possessed authority. 33And in the synagogue there was a man who had the spirit of an unclean demon, and he cried out with a loud voice, 34“Ha! What have you to do with us, Jesus of Nazareth? Have you come to destroy us? I know who you are—the Holy One of God.” 35But Jesus rebuked him, saying, “Be silent and come out of him!” And when the demon had thrown him down in their midst, he came out of him, having done him no harm. 36And they were all amazed and said to one another, “What is this word? For with authority and power he commands the unclean spirits, and they come out!” 37And reports about him went out into every place in the surrounding region. 38And he arose and left the synagogue and entered Simon’s house. Now Simon’s mother-in-law was ill with a high fever, and they appealed to him on her behalf. 39And he stood over her and rebuked the fever, and it left her, and immediately she rose and began to serve them. 40Now when the sun was setting, all those who had any who were sick with various diseases brought them to him, and he laid his hands on every one of them and healed them. 41And demons also came out of many, crying, “You are the Son of God!” But he rebuked them and would not allow them to speak, because they knew that he was the Christ. 42And when it was day, he departed and went into a desolate place. And the people sought him and came to him, and would have kept him from leaving them, 43but he said to them, “I must preach the good news of the kingdom of God to the other towns as well; for I was sent for this purpose.” 44And he was preaching in the synagogues of Judea. This entry was posted in Epiphany, Rev. Roth, Sermon. Bookmark the permalink.